Isabelle Oehmichen draws upon her French heritage and unusual musical training in her delicately nuanced and technically exquisite performances as a soloist, or in orchestral or chamber music venughout France, Great Britain, USA, Canada, Poland, Romania, Czech Republic, Finland, the Netherlands, Germany and Hungary. As a young musician, Isabelle won First Place in the Milosz Magin International Piano Competition in 1989 and the George Cziffra Competition in 1993. She studied with Milosz Magin, the Polish-French composer-pianist (1929 to 1999) for 8 years and he wrote the Third Sonata for Isabelle who has recorded Magin works. She also studied with George Cziffra, a Hungarian virtuoso pianist (1921 to 1994) who was renowned for his dazzling performances of Liszt. 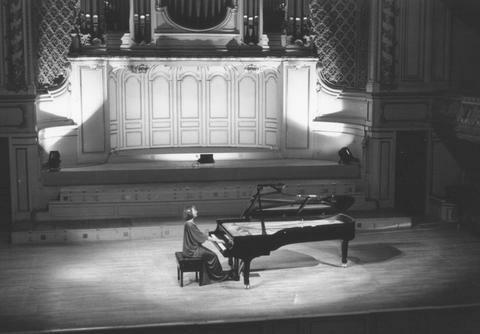 Under Cziffra the tradition of European pianistic virtuosity was handed down to Isabelle; from Franz Liszt to István Thomán (who also taught Béla Bartók and Ernö Dohnányi) to George Cziffra to Isabelle Oehmichen. 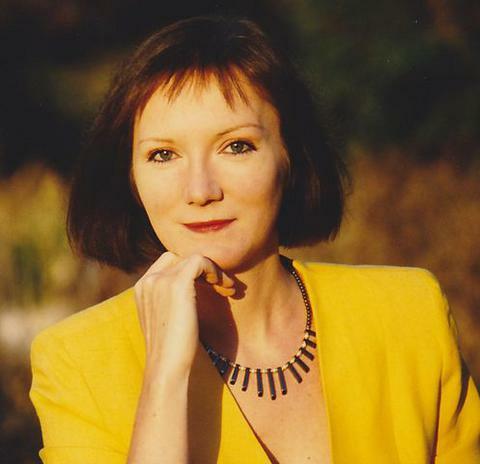 Isabelle has recorded 13 CDs and has performed in radio and television recitals including a filmed recital in Zelazova-Wola, Chopin’s birthplace; Liszt’s Concerto of Wissmer with the Symphony Orchestra of Leon Barzin conducted by J. J. Werner; and Saint-Saëns’ 2 nd Concerto at the Academy of Franz Liszt in Budapest for Bartók Radio. Her performance repertoire includes works by Liszt, Chopin, Magin, Sauguet, Collet, Mozart, Dohnányi, and other chamber and solo pieces. Isabelle is also teaches master classes and lectures in a seminar series on “Musical Heritage”, a conference of the Sorbonne University on the subject of romantic interpretation of the piano. She is also artistic director of the Association of French Hungarian Music in Paris (A.M.F.H.) and as a Director of the Academy of Chamber Music in Budapest, Hungary. She is active in hosting music festivals and master class programs for professional and amateur musicians. "Isabelle Oehmichen plays Chopin magnificently in a passionate, moving, sensual way, as we hear it too seldom "
" Of a strong personality, her assurance and firmness sheds light onto these splendid pieces (of Chopin). Isabelle Oehmichen gives brightness in this nocturne (Op.48 n°1); her interpretation is outstanding. " "... This brilliant interpreter enjoys an international reputation, the public was completely touched by her ethereal playing (concerto K415 of Air) suspended in notes in a gathered silence... The very subtle interpretation of the soul of a complete artist... "
At the same time committed, flexible and sincere, the perfect interpretation of Isabelle Oehmichen - a remarkable pianist of whom we would be well inspired to speak more - perfectly accompanied by the Weiner Chamber Orchestra, is exciting and enticing... "